Editor’s note: Hublot’s heart beats to the rhythm of the in-house Unico movement. 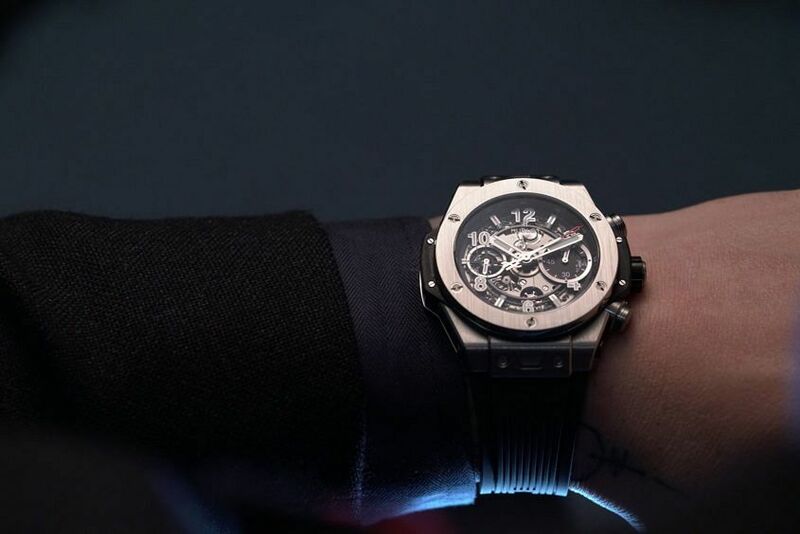 So it makes sense that their centrepiece collection, the Big Bang — with its heavily open-worked dial — is where the Art of Fusion brand shows it off. This year, they slimmed down the dimensions of their 2010-born Unico HUB 1242 movement, dubbing it the HUB 1280 and popping it inside a selection of smaller-sized cases. From King Gold to titanium, and a few stops in between, this is the thinner and slimmer 42mm Hublot Big Bang Unico Chronograph. 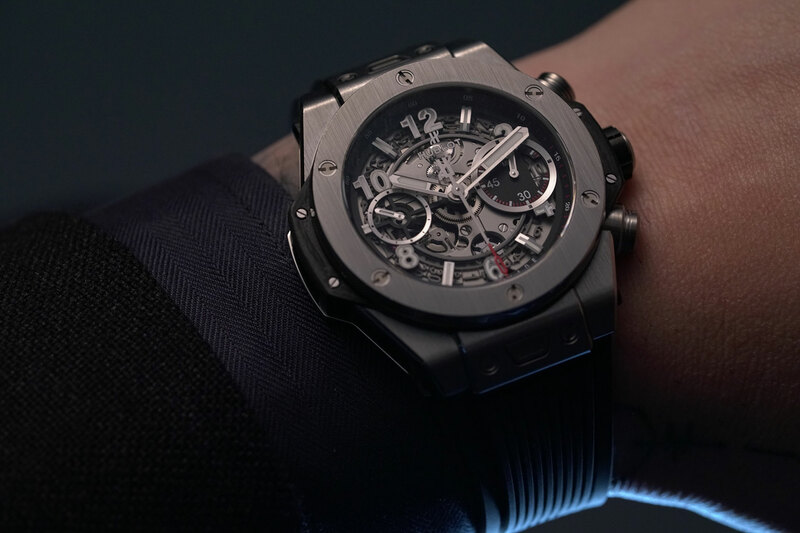 Amidst the pile of big and bold Hublot offerings at Baselworld 2018, it was a pleasant surprise to see a rare level of conservatism land on the table in the form of a more compact Big Bang Unico Chronograph — four references measuring 42mm in diameter, offered in King Gold, King Gold and ceramic, titanium and ceramic, and the titanium and ceramic model seen here. 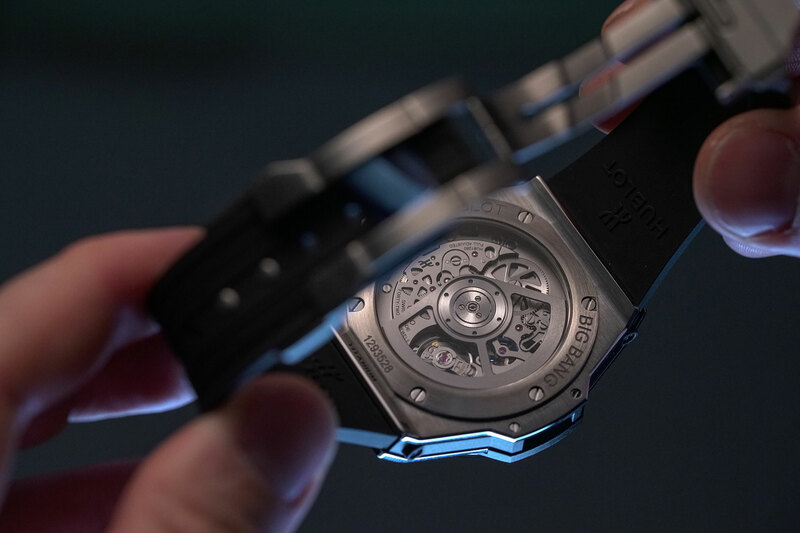 For some, one of the biggest gripes about the Big Bang is its significant presence on the wrist, and after closer examination, this slightly reduced variant puts the chronograph on just enough of a diet. Visually speaking, the new 42mm Big Bang Unico looks like it is simply a scaled-down version of its 45mm sibling, but that isn’t exactly the case. A close examination of its self-winding flyback chronograph calibre reveals at least some slight modification, explaining why though its specs are the same, the new derivative movement is called the HUB1280 rather than the HUB1242 listed on Hublot’s website. We do know that the new calibre is also thinner, allowing Hublot to trim away some excess case thickness in the process. Of the four variants, this titanium version is perhaps the most understated, and won’t unduly weigh your wrist down. What can I say — I love the case proportions of the Big Bang 42. That’s not to say that I could never pull off the 45; however, there are times that the larger case size can be a bit overwhelming on a smaller wrist. I could easily see the 42 coming closer to serving as a daily-wear item rather than a “statement watch” as most offerings from the brand tend to be. 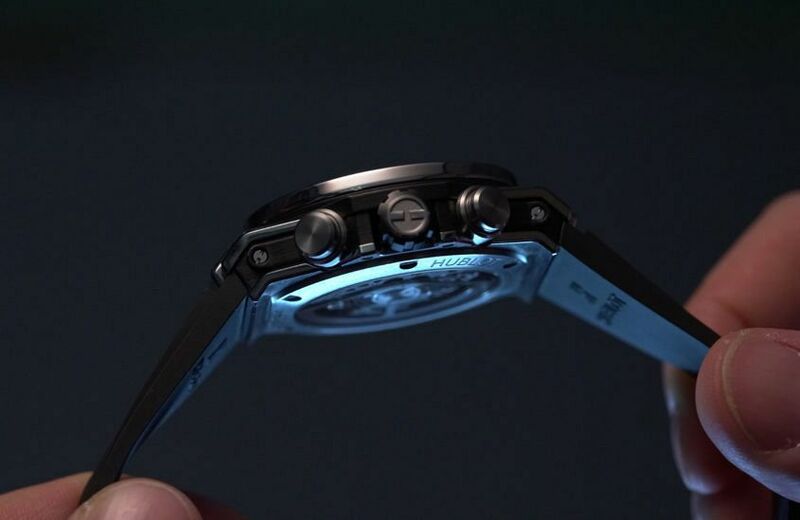 According to HQ, this new smaller size is in part targeted at the Asian market, which has continued to demand smaller timepieces across the board. 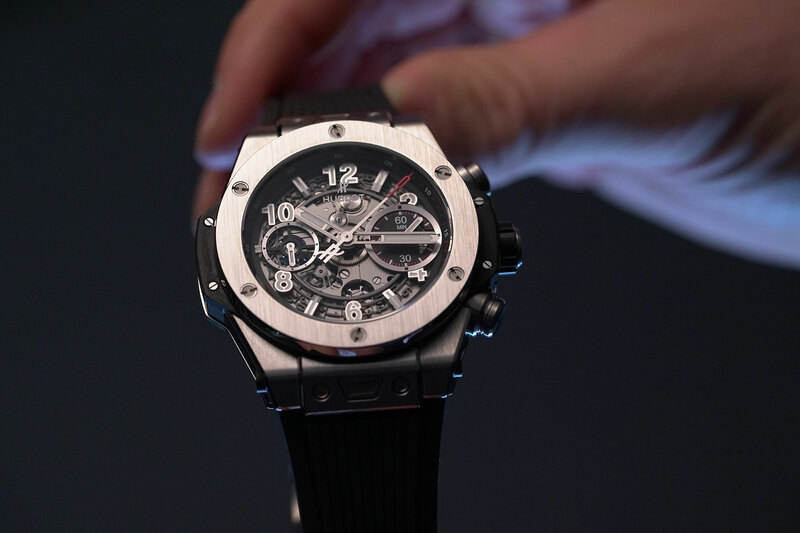 But regional needs aside, it’s the perfect fit for the many of us who appreciate Hublot’s in-your-face design, but are short on wrist real estate. Plain and simple: the fact that they even built it in the first place. The whole thing was a surprising evolution from the brand.